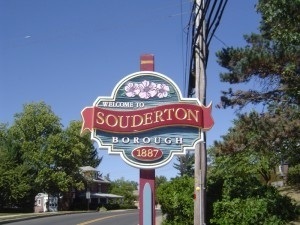 Souderton is home to Montgomery Theater, one of only three professional theaters in Montgomery County. Sitting in the historic firehouse on Main Street (Rte 113), the Theater produces five subscription-series shows each year, and offers education programs for students ages 8–18. Montgomery Theater draws people to Souderton from around the five-county area. Souderton also hosts an annual Art Jam every September, bringing artists and artisans to the borough park, and offering craft beer and wine tastings. This event is hosted by Souderton-Telford Main Streets, the non-profit organization that supports revitalization in Souderton.